These refills fit the Pioneer VHP-46 Photo Album plus most Scrapbooks / Memory Books. 10 pages per pack (80 photos). Also holds panoramics up to 4x12. These refills fit all Pioneer or MBI 2 post 12x12 Scrapbooks / Memory Books and also fit 12x12 3-Ring Binders. 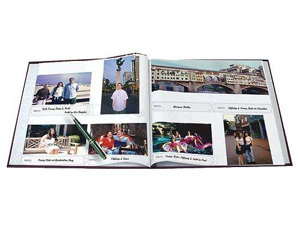 Page dimensions: 13" x 12-1/8"